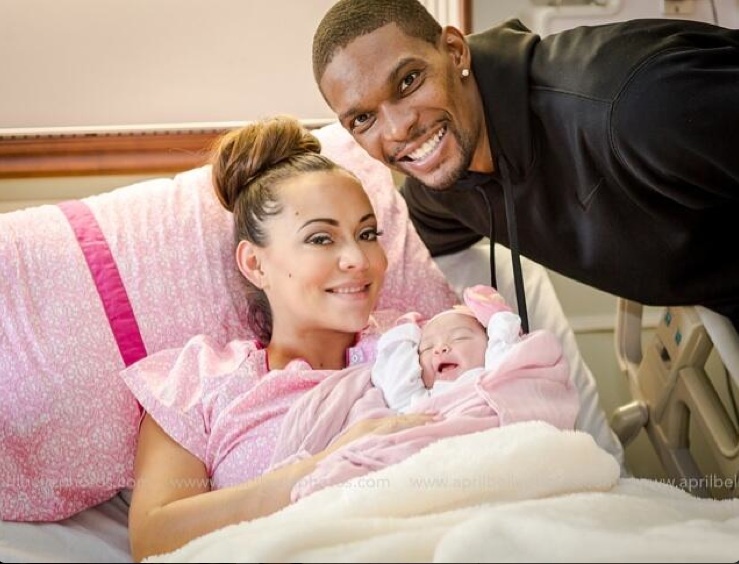 Chris and Adrienne Bosh are the proud parents of a baby girl. The couple announced the arrival of their little bundle Monday night, via Twitter and WhoSay. Dylan Skye Bosh will join her two siblings, brother Jackson (1 1/2) and big sister, Trinity, who just turned 5. Miss Trinity is Chris’ daughter from a previous relationship. The Miami Heat are in Toronto to play the Raptors Tuesday, so Chris likely has an early morning flight to join his teammates.